Canada’s regional regulator, the British Columbia Securities Commission (BCSC), has issued a warning against the forex, CFD and binary options broker Option888 and its owner Celestial Trading Ltd. 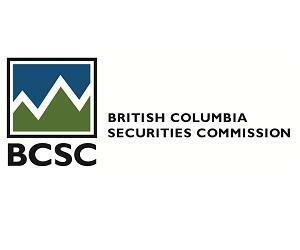 The British Columbia Securities Commission (BCSC) is an independent government agency responsible for the regulation of securities trading in British Columbia, Canada. The British Columbia Securities Commission is located in Vancouver, British Columbia, and aims to protect and promote the public interest in the securities markets by ensuring that securities traded within BC are done so fairly and with the public’s best interests in mind. According to the BCSC, Option888 claims to be an online Forex trading platform provider, and purports to have offices in “London, Sweden, Malta, Germany, Holland, Spain and France”. According to Option888’s website, Celestial Trading Ltd. owns and operates Option888. The broker had accepted funds from a British Columbia (BC) resident to trade with the company. However, the Parties are not registered to trade in, or advise on, securities or exchange contracts in BC. As to the broker Option888 itself, the company provides a lot of confusing information, as it claims that Celestial Trading Ltd. is registered in Montenegro, but at the same time it is located in Seychelles. Meanwhile, the terms and conditions on the website state that the broker is dealing inder the laws of Cyprus. Also, the company that processes the payments, Celtic Pay Ltd., claims to be located in the UK, however, it is not regulated there. In addition, the broker has been banned multiple times by different regulators such as Germany’s BaFin and Austria’s FMA. It is clear that Option888 has a lack of license adding the offshore registration, we would not recommend investing there. It is recommended to first check the lists of the regulated trustworthy brokers before making any investments. You can read our review on this broker here.